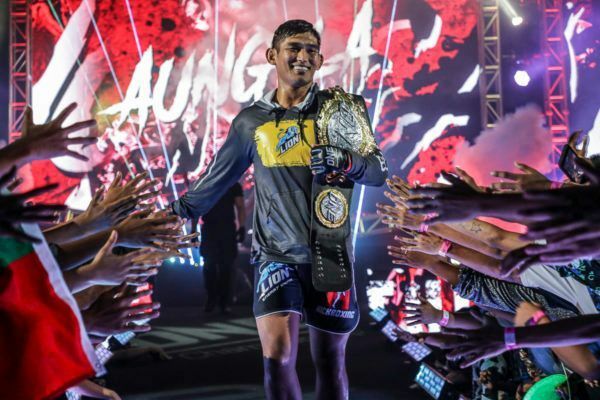 Myanmar-born “The Dragon Leg” Tial Thang is set for a debut in ONE Championship, and he can thank his homeland’s biggest hero for guiding him toward The Home Of Martial Arts. Not long ago, the 25-year-old had a dilemma. He was torn between staying in New York – where he worked fixing air conditioning to provide for his young family – and moving on to pursue his dream of becoming a martial arts World Champion. Tial Thang needed advice, and the only man in the world who could truly understand his predicament lived a four-hour drive away in Baltimore – ONE Middleweight and Light Heavyweight World Champion “The Burmese Python” Aung La N Sang. In March 2016, he drove to the Crazy 88 MMA gym where Aung La N Sang was training to speak to his idol. He was welcomed with wise words of encouragement. The next day, Tial Thang quit his job and moved his wife and baby to Baltimore, where he became the student of his country’s most successful athlete. The gamble had paid off. After gaining experience as an amateur mixed martial artist, the 25-year-old Chin State native will soon make his debut in the world’s largest martial arts organization. “I’ve been working so hard to get this opportunity,” he says. Tial Thang was raised in Chin capital of Hakha where he practiced naban, a form of Greco-Roman style wrestling that would stand him in good stead for grappling bouts in his American high school. When he was 14, his parents moved the family to the United States for a better education. A few years later at the age of 19, he discovered his passion. A friend showed him some basic punches and kicks, which snowballed into “The Dragon Leg’s” first amateur match after only three weeks of mixed martial arts training. He scored a hard-earned decision victory over a taekwondo black belt, which lit a fire under him. “From that moment, I knew it was something I wanted to do for a living,” he says. Happy Birthday to my Chin brother Tial Thang Zathang aka Dragon Leg . The Chin people and the Kachin people were brother I look forward to a great 2019 competition year for him and being in his corner. Tial Thang’s parents were not so keen and insisted he finish his education. As the years passed, he landed a steady job, married his childhood sweetheart who had joined him in New York, where they had their first son. However, inspired by what Aung La N Sang had done on the global stage, he yearned to follow his dream. “I was making money, but I was never really happy,” he admits. “The Dragon Leg” and “The Burmese Python” have followed similar paths. 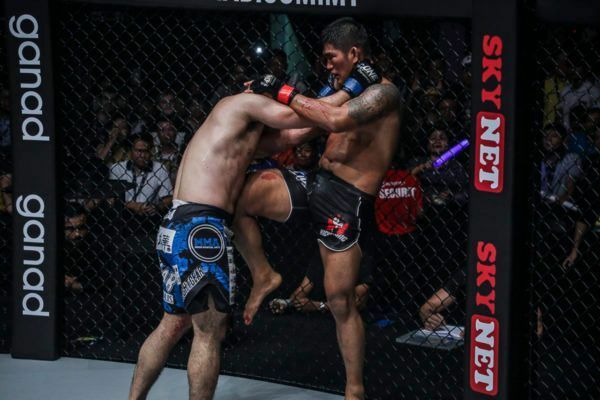 Both were young men from Myanmar who chose between the security of a regular paycheck and the uncertain path to martial arts glory. For Aung La N Sang, this meant harnessing his unshakable ambition and a tireless work ethic to succeed, and he believes his protégé can do the same. “I see a lot of myself in Tial,” the two-division World Champion says. In early 2018, both men relocated to Florida-based gym Hard Knocks 365, where they train with some of the most accomplished mixed martial artists on the planet. The move has led to incredible success for “The Burmese Python,” and he believes his compatriot can also make waves in ONE. “He will be a star because he has put him in the hard work and has dedicated his life to this art,” he adds. 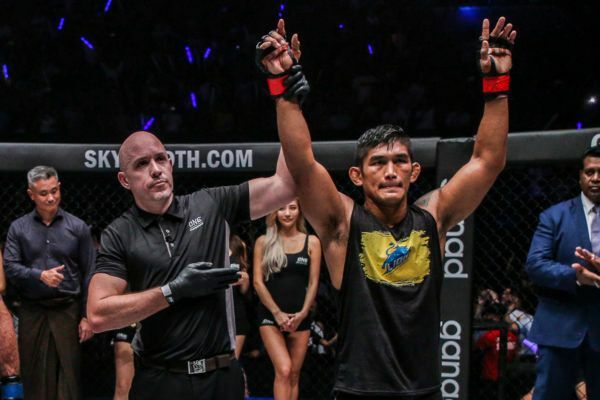 Motivated by his wife and two sons, Tial Thang is determined to succeed, and he is looking forward to the chance to return to Myanmar for the first time since 2007 and put on a show for his countrymen. 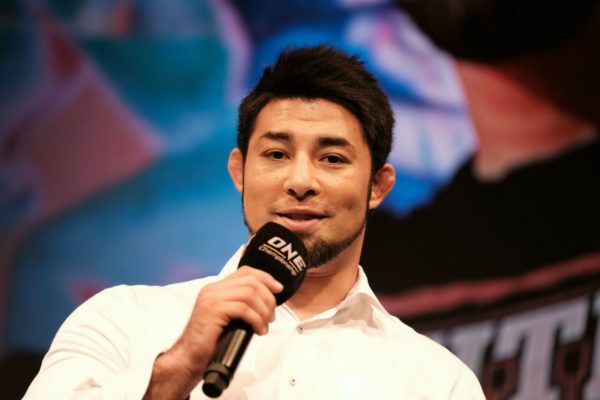 The Brazilian Jiu-Jitsu blue belt has grand ambitions in the bantamweight division – he is determined to join Aung La N Sang as one of the best in the world. “I just want to fight in ONE and be a World Champion someday,” he says.